Pierce sources the globe to offer gourmands a variety of raw sea salts, flavored salts and smoked salts sure to spice up summer grilling and dining. Eleven varieties of raw salts ($9.99—$24.99) like Hawaiian Red and Hawaiian Black take the minerals of the islands and add texture, flavor, or color to fish, vegetables, and poultry while delicate Bali Pyramid is the perfect accouterment to bagels, pretzels, or chocolate. “Everyone should have our Cooking Salt ($9.99) and our Finishing Salt ($14.99) as staples in their pantry,” says Pierce. 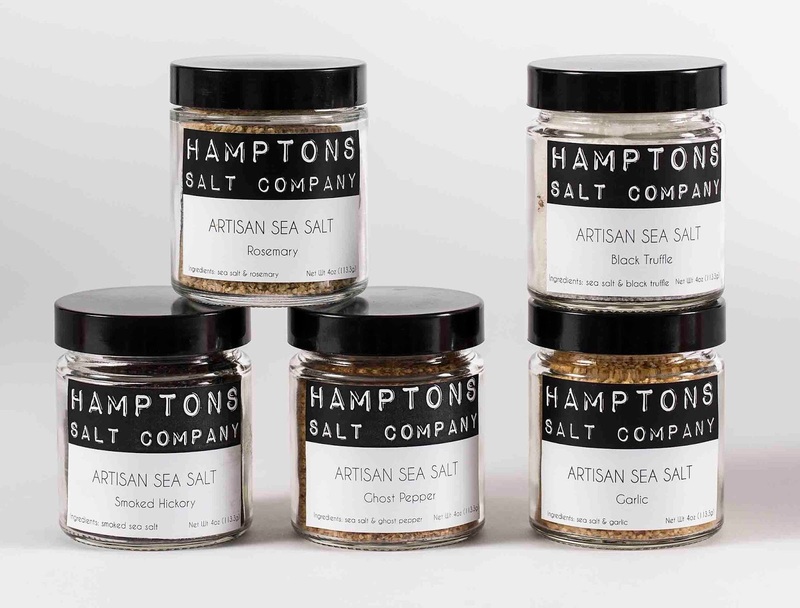 “Then you can experiment with one or two of our unique raw, flavored or smoked salts." Hamptons Salt Company’s 13 varieties of infused salts ($21.99-$29.99) run the gamut of unique flavors, from the unbelievably spicy Ghost Pepper, to the sweet Vermont Maple Syrup, to more robust tastes such as Garlic and Rosemary or the decadent Black Truffle.